Samsung's continuing its round of updates, and the Gear Sport is the latest wearable to get the upgrade. Samsung's Tizen OS is moving to version 3.0.0.2 on the Sport, and with it comes some welcome improvements to the watch's sports tracking. Firstly, it's improving the live readout during workouts for improved readability, and you'll also now be able to set custom interval notifications. Not enough for you? How would you also like to set some personalized target heart rate zones? Good, you're getting that too. Samsung's also tweaking the software so you can turn off that alarm that blares when it recognizes you've started moving after a long period of idleness. And on top of that is your standard dollop of performance and stability tweaks. 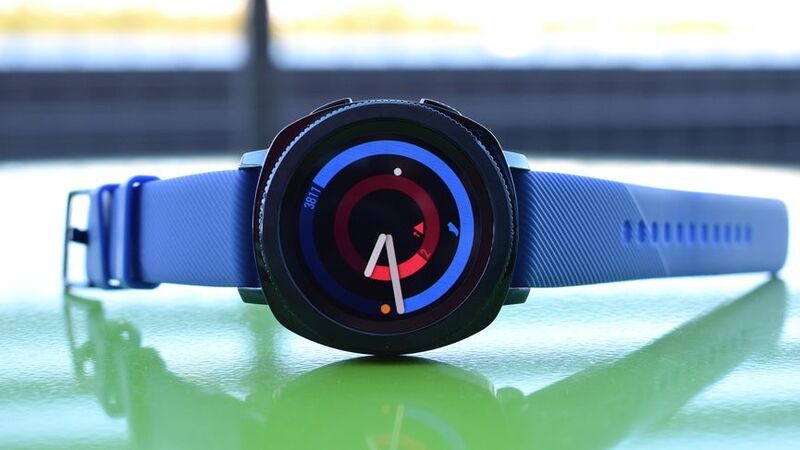 These small improvements all add up to a better experience, though in our review of the Gear Sport we noted that swim tracking - one of the watch's most talked-up features - was the biggest area of disappointment. We then tested it again after an update, but the results weren't dramatically better. We'll be taking the Gear Sport for another test soon to see if it delivers better on fitness, now that Samsung has had time to polish it. Samsung's been on an update frenzy the past few weeks: the Gear Fit 2 Pro, IconX earbuds and even the Gear S2 have all been given a lick of new paint.